Marketing Coordinator is one of important member in GPA Branch office. He/she will be responsible for proposing and implementing Marketing online and offline for all service and product of GPA. ✓ Research and develop all strategies and plans to make use of marketing opportunities effectively, which include online and offline Marketing. ✓ Support, supervise and evaluate effectiveness of program implementation for company activities and evaluate Sale outcome. ✓ Analyze and evaluate marketing situation, collect information of competitive company and coordinate with other department to release promotion program and events. ✓ Record customer feedback related to company and courses. ✓ Optimize search engine, bring company website to top of research. ✓ Provide information, promote product via internet, such as: bring company and products to customer via web, forums or research web…. ✓ Find customer data to meet requirement of Sale department to find out customer effectively. ✓ Propose and design web and implement plan to improve email marketing program. ✓ Exploit Marketing online campaign on Facebook, Instagram, website, email…. Coordinate with Sale Department as for each campaign. ✓ Write promotion articles on website and Facebook according to marketing plan. ✓ Report regularly, periodically to manager to ensure the most effectiveness. ✓ Bachelor graduated from Marketing, Economics, and Business Management faculties. ✓ At least 1 year of experience, education experience will be preferable. ✓ English fluently, prefer 6.5 IELTS or equivalent. ✓ Have ability to write article, PR article or product description for advertisement. ✓ Enthusiasm, active and high responsibility. ✓ Teamwork skill. – Presentation skill. 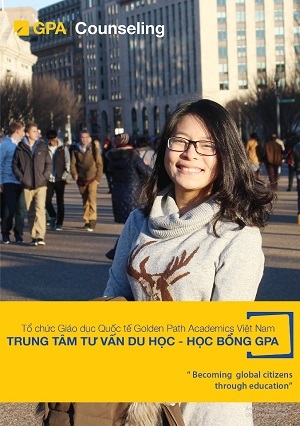 Golden Path Academics Vietnam: Golden Path Academics Vietnam Ltd. (GPA Vietnam) is a privately held education services company that offers enrolment consulting, outreach, and recruitment services to colleges and universities in Vietnamese market. It also provides information and assistance to help students plan for and pursue college overseas. In addition, GPA Vietnam partners with institutions and education companies to offer international youth and adult learners access to third-party online courses and non-degree programs to improve their language, academic and professional skills. GPA Vietnam is an exclusive partner of Golden Path Academics, LLC, an education services company headquartered in New York. With more than 5 years of development, GPA is currently one of the most prestigious US study counseling firms in Vietnam. We highly appreciate talent development and promote dynamic working environment. At GPA, we believe that organization success comes hand in hand with individual success. Therefore, we provide continuous training courses for employees to strengthen their soft skills and encourage everyone to be a critical thinker and a leader in what he/she does at work.